Bob Evans closing, Raising Canes coming? Yes, the beloved restaurant Bob Evans on Detroit Avenue is closing and being replaced with something that might be way better. Raising Cane’s is making its way towards Lakewood for its next chicken place in Ohio. Tristan Rader, a Lakewood Councilperson wrote on Facebook that a Raising Canes franchisee wants to take Bob Evans out and make it a chicken joint. Bob Evans is currently located at 14115 Detroit Avenue near Giant Eagle and GetGo. 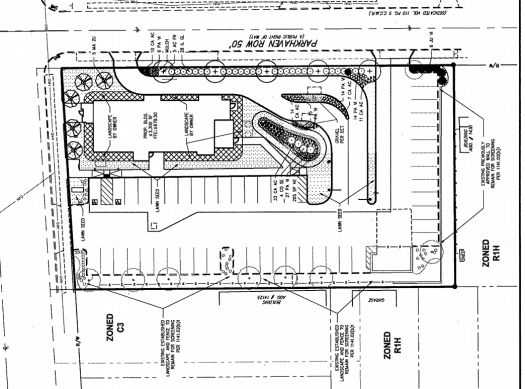 Rader also included in the post that the new restaurant will have a drive through which seems very convenient. Also it will have a dining area that is a covered patio all around. Of course this is all a request and is not yet confirmed by anybody. It is a proposal and they need to change multiple things that can affect Detroit Avenue and the buildings surrounding it. If you aren’t aware, Raising Canes is a popular fast food restaurant. It is popular because of the fried chicken and supposedly it is really good. I personally have never had it and I have high hopes for it. Back in 2014, Bob Evans opened and seemed to be the new spot to get breakfast or dinner. It’s been around for a decent amount of time but is there really a point of getting rid of it for a fried chicken joint? We have The Place To Be and My Friends restaurant for good breakfast and dinner in Lakewood and taking out Bob Evans might be a bad idea or I could be completely wrong. Down the block is a place where there is all fast food… Chipotle, Jimmy Johns, Falafel Express, Marcos Pizza, Burger King. The big question is do we really need another fast food restaurant? Is that what Lakewood needs? It might be a great improvement or might be a complete letdown.